If you live in the San Diego area, Transmasters Transmission and Auto Care have ASE-certified, experienced mechanics on staff that have the knowledge combined with hands-on experience fixing all makes and models of Pontiacs. With over 24 years in the automobile repair and service business, we’ve made it our top priority to provide our customers with reputable and reliable service. 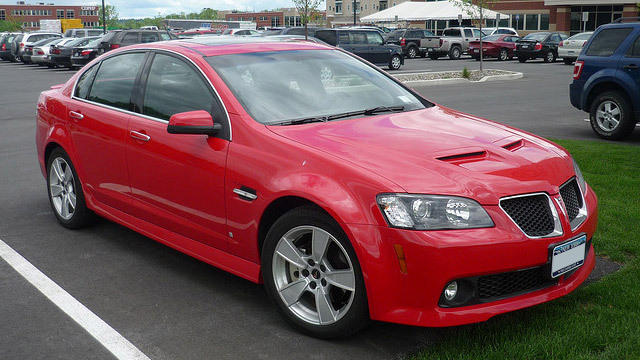 It’s important to have a mechanic that you can trust when it comes to servicing and repairing your Pontiac. Transmasters location in Miramar. Is owned and operated by an ASE-Certified Master Technician. Our Miramar location is owned and operated by Sam Muniraj. After obtaining a degree in automotive engineering, Sam worked for years in the R and D departments of some of the industry’s major manufacturers. He is an expert when it comes to diagnosing and solving whatever repair issues should arise with your car. At Transmasters, we’re proud of the reputation that we’ve built over the years as being one of the San Diego’s areas most reliable repair shops. Check out our website to read testimonials from many of our satisfied customers. Take a few minutes to read reviews of our shops on Google, and you’ll see why our customers come back year after year.